When I was a kid, one of my dad's buddies had a '67 Mustang Convertible, bright red (It was originally metallic green, which, because he was a touch colour blind, he thought was gold. Once it was pointed out to him he decided it needed to be changed...). We followed the Cork 20 and West Cork rallies around the back-roads of Munster in it, crammed into the four-seat cabin, roof down (in my head anyway, though it always rains if I spectate at a rally nowadays so I do wonder about my memory), V8 up front burbling away lazily as we drew as much attention as the rally cars proper. Needless to say, I adored it. Even so, I'm not emotionally attached to the Mustang brand. I've admired it from afar without thinking it's the coolest thing to come out of America since, well, bags of ice in your local garage. From a professional point of view, I drove the previous version in the UK a few years ago and though I had to admit it was a bit cool, it was laughably bad to drive and I felt no sadness at a lack of right-hand drive. Even when Ford announced that the current Mustang would be the first to be offered for sale in Ireland with the steering wheel on the correct side of the car, I instantly dismissed it as something that would be taken up by a mere handful of enthusiasts that love a bit of Americana. But then our own Neil reviewed it at the European launch. And while Neil can get a touch nostalgic about certain cars (don't EVER ask him what he thinks of the Land Rover Defender), he's still a professional motoring writer I respect. Even so, surely there's no place for this car in Ireland? Yet Ford Ireland reported incredibly strong interest in the Mustang even before the first one arrived. And then, when we wrote a news article about Denis Ferry, the first Irish person to take delivery of the new Mustang, it was one of the most read news stories we've ever published. I know our economy is on the rise again, but what the hell is going on? So I finally got the opportunity to drive the car pictured here, just days before the Irish media launch of the Mustang. Plan was to get a train to Cork, pick the car up and be back in Dublin the next day. On clapping eyes on the lustrous Race Red paintwork I couldn't help but grin. I'd usually prefer a coupé (and I would prefer the Mustang Coupé for sure), but even so, the Convertible is stunning looking. Pictures don't quite convey its muscularity. It's wide, low and full of traditional Mustang styling cues. But crucially, they're married to contemporary surfacing, fit and finish and aerodynamics - check out that rear diffuser and the subtle front splitter for examples. The interior follows the same theme with a few Mustang prerequisites (check out the 'ground speed' speedometer and the design of the chunky steering wheel and gear shifter, plus the chromed rocker switches), but otherwise switchgear and displays familiar enough to the rest of the European range of Fords. The front seats prove to be comfortable over a long distance with loads of space and adjustment. The rear bucket seats are, however, tiny in terms of legroom, unless those up front really compromise their space. There are loads of cubbies of a decent size in the cabin though. And large cup holders (God bless America). The boot isn't completely useless, either. Not that we expect many Mustang buyers to worry about such things... The big question here is: if I can't afford to buy or fuel the V8 model, is the 2.3 EcoBoost car a poor substitute? Press the clutch, prod the engine start button and you'd swear there's a larger engine under that long bonnet. It rumbles with menace and sounds good, distinctive. 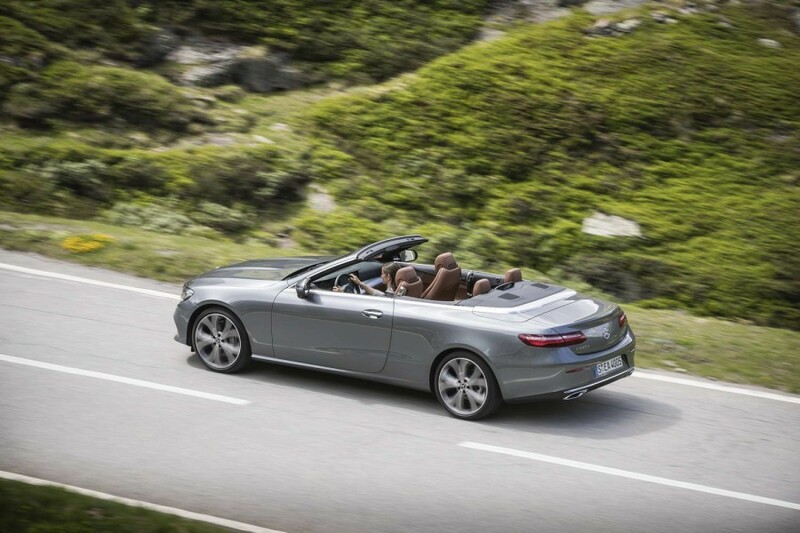 Pop open the bonnet and you can confirm that it is indeed a four-cylinder engine with a turbocharger strapped to it. In fact, the core 2.3-litre unit is shared with the Ford Focus RS, though it's turned through 90 degrees here as the Mustang is (gloriously) rear-wheel drive. While outputs aren't quite as impressive as in the Focus RS, there's a respectable 317hp and 432Nm of torque produced, the latter at a surprisingly high 3,000rpm. Ford quotes 5.8 seconds for 0-100km/h, which is pretty good, but this Mustang feels pleasingly quick at all times without ever scaring unwitting passengers. And is the rest of the package up to the job? Let's get the negatives out of the way, as it's mostly positive. The damping isn't perfect, this convertible body structure wobbles a little over bumps and there's not much feedback through the, surprisingly slow, steering. However, the brakes and stronger than you'll ever need, the six-speed manual gearbox has a satisfyingly mechanical quality to its change and it covers ground rapidly thanks to the effortless performance. It's a shame the pedals are spaced so far apart, as it's the kind of car you'd like to heel and toe in, but I spite of our criticisms, we still came away grinning and looking forward to another drive. It's always an occasion, which is more than can be said for the (admittedly more competent) default German coupés on the market. And this Mustang is nothing but fun, always. At the time of writing, I have yet to try the V8 model, which I'm assuming will evoke memories of those days in the '67 model, but I also suspect that, if you know you can't afford the V8, you're better off not even taking it for a test drive. The 2.3 is a cracking car in its own right and Ford Ireland may soon find itself with more demand than it can supply. 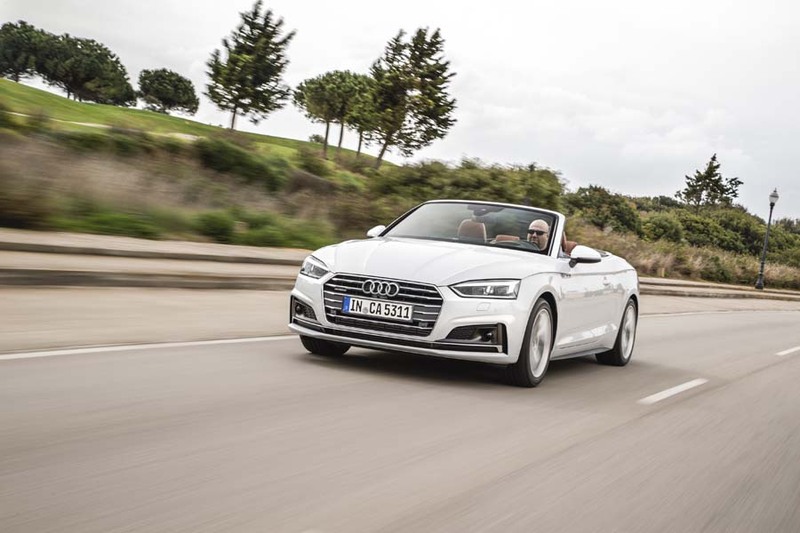 Audi A5 Cabriolet vs. Ford Mustang 2.3 EcoBoost Convertible: a lot higher quality and can be much more efficient, but nowhere near as interesting. 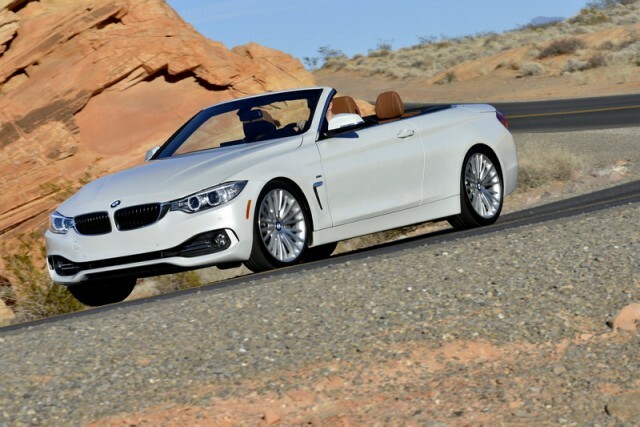 BMW 4 Series Convertible vs. Ford Mustang 2.3 EcoBoost Convertible: better to drive and again, higher quality, but not much power for the same budget. Mercedes-Benz E-Class Cabriolet vs. Ford Mustang 2.3 EcoBoost Convertible: close to the Mustang in size, but not as sporting. Gorgeous, though.